With the rapid economic development, more and more high-tech digital products step into our life, such as smart phones, tablet PC, cameras, game consoles, MP3 / 4, etc. Digital electronic products appear one after one, which bring us great convenience. But when we enjoy these products that bring us happiness, there are some issues need to be resolved. While playing games, the digital product is half out of power, which can make us depressing, When the phone prompts you to charge, only left 10% of the time, your mood will be very down. And when shooting views outside, no electricity camera automatically shut down, it is a very agonizing business. The existence of these problems are always annoyed with us, then how should we do? There are smart manufacturers find the chance, and invent the most convenient and fast charger-External battery power bank. Nowadays, there are various these products, cute, stylish, high-capacity, solar, battery clip, etc. Then we also have many selections, which make us hard to decide which is right for us. And I have been also asked many times about this question-how to choose external battery charger power bank for cell phones, and which brands of battery charger can work better or longer time. Therefore, Summing up all my team members experiences and advices, here I will share you how to choose a right and nice battery charger/power bank for your cell phone. First of all, it is up to you and your selections or needs. Cheap or expensive, low-capacity or high-capacity? Following I will show you three tips we should know to make the selections. 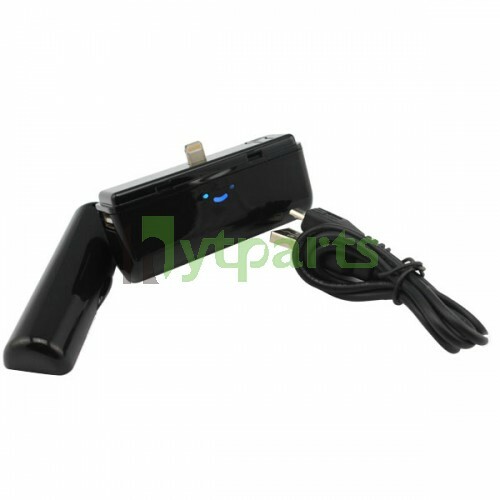 In general, for a smart phone, to choose a 5000 mAh rechargeable external battery power bank is enough to use. But some people will ask, if 5000 mA enough is not enough for us, how to do? Can we buy a larger capacity it? Of course, you can. But I have to remind you. As we all know, the larger charge capacity is, the longer time your digital products will stand. And the bigger capacity is, the more requires of high-tech and cost the manufactures need. If they are off, there may be security risks and problems caused. if you must purchase the large-capacity external battery charger, the proposals we recommend are to buy some with famous brands. For my example,I use a 2800mAh external battery power bank, which I bought from our company. 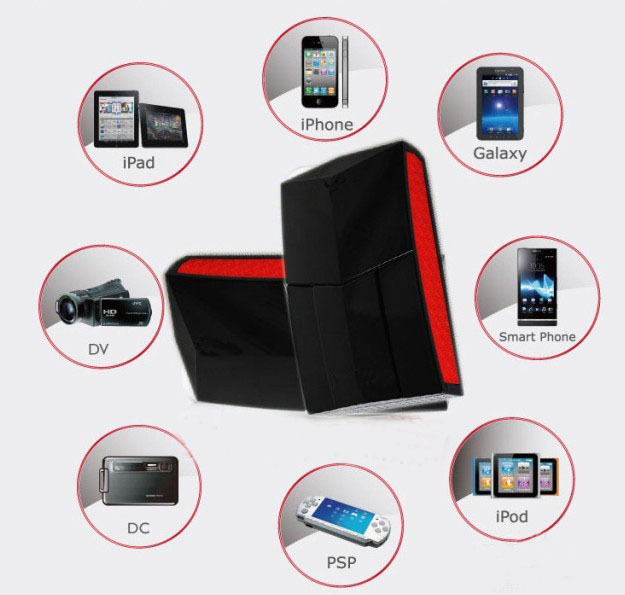 It is an universal power bank for most popular smart phones, iPhone, iPod, iPad Mini, Samsung, Sony, Nokia, HTC and LG ect included. I have used it for half a year, it still work greatly and I never get any problem on my phone. And one of my friends used a power bank from a shop near his house before, there is no 2 month lasting, his Galaxy S2 got problem with the micro SD, and the charger always only charge half. After I recommended this 2800mAh universal external battery charger power bank to the friend, he also got one from my company, then it also worked fine until now. It is good enough to carry and charge, we never concern about our phone will be out of power in some time, when playing games, watching videos or in business travelling. 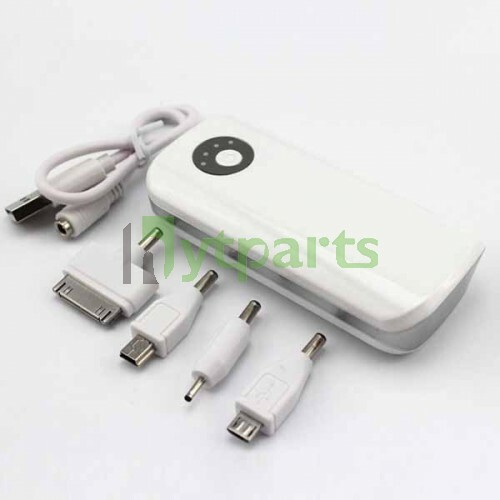 So my advices is you must choose a right capacity power bank for yourself or family, even friends, according your needs. 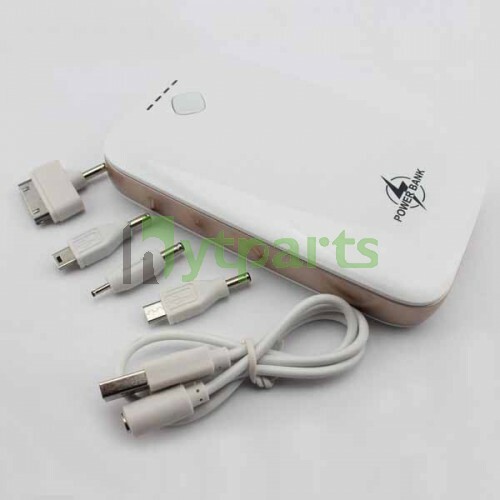 If you trend to selecting a slim and portable ones, the about 5000mAh capacity of the charger is your right selection. It is true that what you get is up to what you pay for. When you choose these kinds of chargers, for safe and quality sake, your don’t buy the ones with large-capacity and low-price, just for savings.The larger capacity is, the higher prices they will have. Because they need more cost to be produced, supporting more power. Generally, items with good quality are made of nice material, and own nice touch and look. You must pay more attentions to the details on the apperance. And the larger capacity the charger is built, the heavvier it is.Because it need more materials to built. So in some case, you can accord to the weight to determine which you should choose. And you can look at the detailed description of the business, the product index with high transparency references, it can be considered to buy. Shown as above two pictures, they look the samilar. How to separete them differences, you can see the weight we offered in their descriptions. the former one is 5600mAh, and the later one is 15000mAh capacity. It is absolutely the former is lighter than the later one. 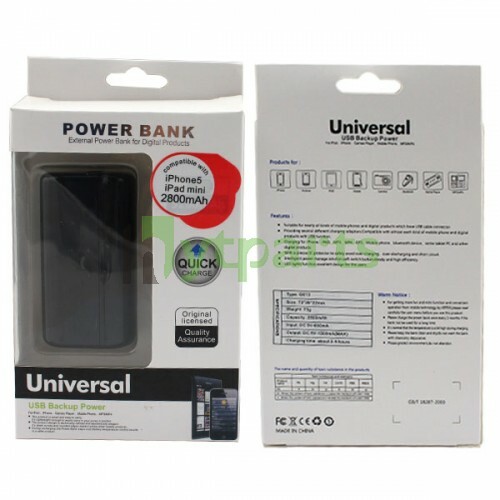 Attentions please, most power banks are universally used for digital products, especially for cell phones and tablet pcs. It just determines which port your devices use. Importantly, you should be careful to use in right ways, keeping it using life longer. This entry was posted in Hytparts Blog and tagged External battery charger power bank for iPhone, external battery power bank for cell phones, For Samsung external battery charger power bank, how to choose external battery charger. Bookmark the permalink. That would be a great product for our traveling lifestyle.